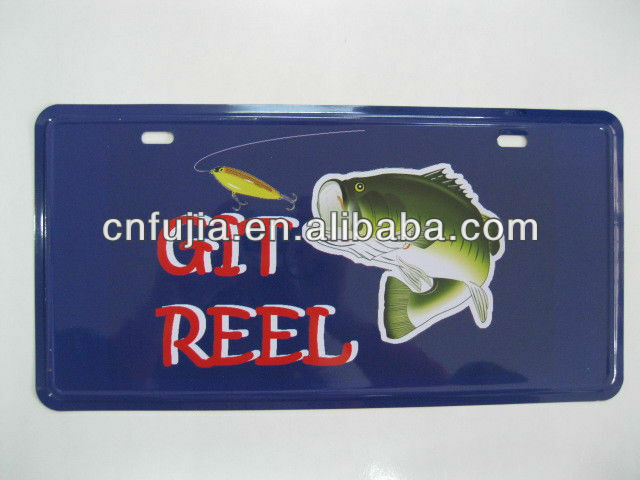 4)Characteristic: Embossing, Edge Folding, offset printing,silk-screen printing as your request. 5)Design and logo: clients' special designs is welcome. 6)Car Decorative or home decorative is up to you. 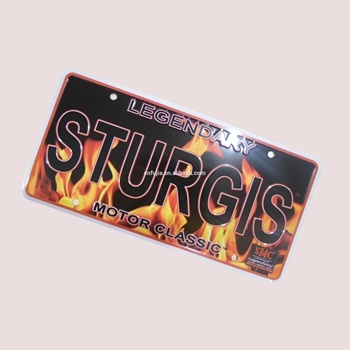 With printing & embossed letterings & Frames, holes, by stamping die processing. 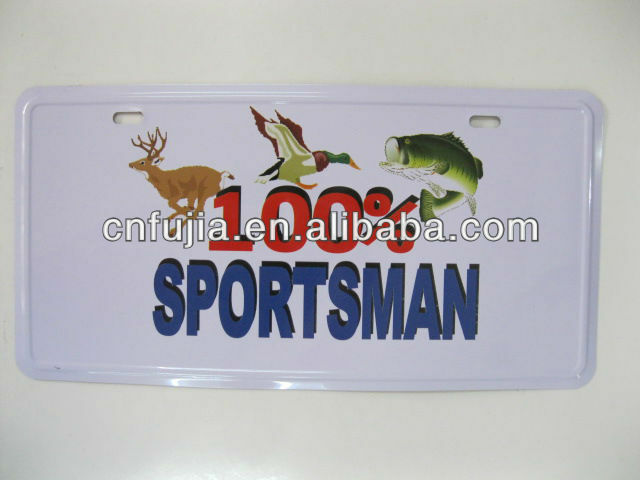 Various kinds of embossed metal signs and license plates are available and can be made for you. Custom-make is always welcome, as per client's own design and artworks, material, shapes, size and thickness requirements. High quality and low price, efficient services are waiting for you. If any question,please contact us freely. The supplier is ranked number 11 by transactions data in Crafts.